Though our entire household is trying to keep sugar-consumption low, we are a morning sweet-loving bunch. 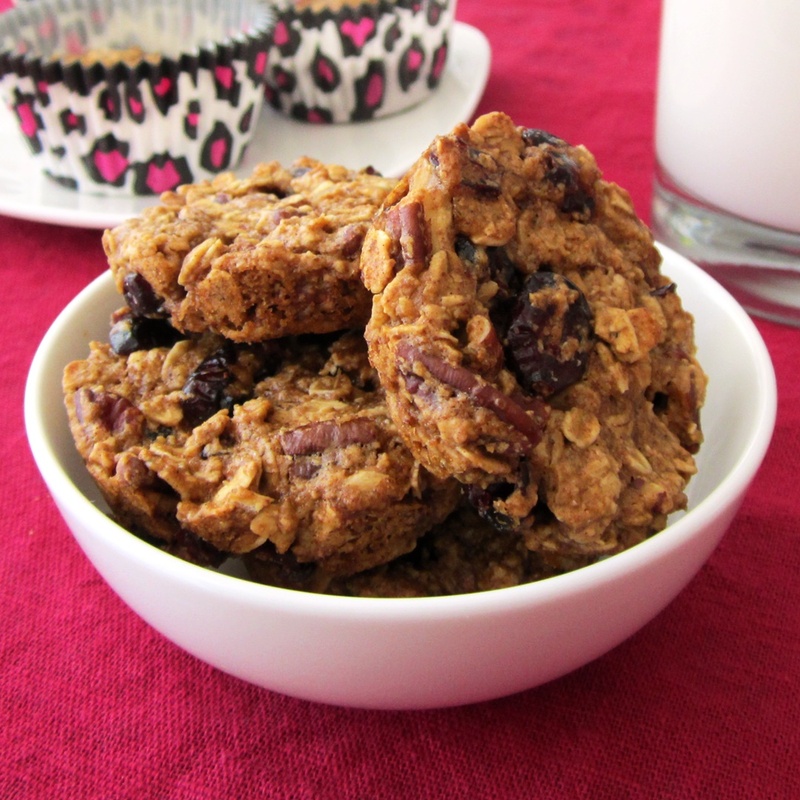 To keep things reasonable, I came up with this delicious recipe for vegan and gluten-free oatmeal breakfast cookies. 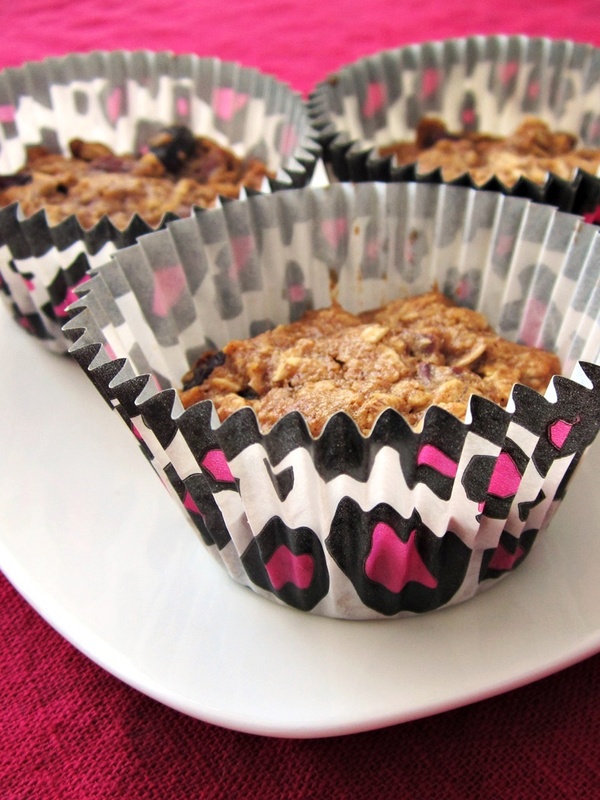 Each bite is packed with rolled oat goodness, plus some other nutritious goodies, including flaxseeds, dairy-free yogurt, and cinnamon. But more importantly, we loved them! Tony devoured 3 big cookies as soon as they popped out of the oven. They are fantastic for grabbing on the go, tossing into lunch boxes, or enjoying in the afternoon with a glass of dairy-free almond milk (or coconut for tree nut-free!). As you might note, my cookies sometimes come in an interesting form, and these oatmeal breakfast cookies are no exception. I did make a batch of “regular” cookies, but we all prefer them in these perfectly portioned muffin shapes! You can use fun liners (they tended to puff a little more when using liners) or simply press them into muffin cups (silicone highly recommended) and pop out once slightly cooled. For my niece, I made these oatmeal breakfast cookies egg-free, in addition to dairy-free (yes, they are vegan! ), by using dairy-free yogurt, and added her favorite dried fruit, cranberries. For Tony, I used certified gluten-free oats. I created this recipe for my loved ones and for this post’s sponsor, So Delicious Dairy Free. By ingredients, this recipe is dairy-free / non-dairy, egg-free, gluten-free (be sure to use those certified gluten-free oats if needed! ), peanut-free, soy-free, vegan, plant-based, and vegetarian. For tree nut-free oatmeal breakfast cookies, simply use the pumpkin seed option. Or you can substitute your favorite nut-free add-ins, such as more dried fruit or allergy-friendly chocolate chips. Preheat your oven to 350ºF and either grease or line 24 muffin cups (not necessary if using silicone muffin cups) or line a baking sheet with parchment paper or a silicone baking mat. Place 1 cup of the oats, sugar (if using coconut sugar), and flax seeds in a spice grinder or food processor and whiz until powdered. Pour the mixture into a mixing bowl. Stir in the cinnamon, baking powder, baking soda, and salt, until well combined. Add the oil, yogurt, maple, and vanilla, and whisk to combine. Fold in the remaining 1-1/2 cups whole oats, cranberries, and pecans. It will be a chunky mixture. For (my favorite) muffin cup cookies, press 2 tablespoons of the dough into each cup using damp hands. For little cookies, drop by the tablespoonful onto your baking sheet - they won't spread much. Bake the muffin cup cookies for 15 to 20 minutes. Bake the little cookies for about 12 minutes. Let them cool in the cups or on the baking sheet for 10 to 15 minutes (they will firm up and be easier to handle), before removing them to a plate or cooling rack. Coconut Oil Conundrum: If using coconut oil, be sure that your yogurt is brought to room temperature. Cold ingredients will result in solid bits of coconut oil! What is the “texture” of these cookies? Soft and chewy or deliciously crispy and satisfying? Soft and chewy, but I think they are still delicious and satisifying! 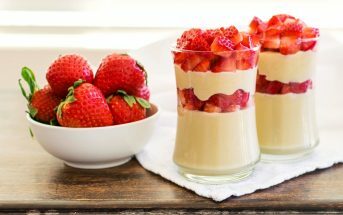 Hello, is there a way to this receipe without yogourt? Yes, I believe I shared some suggestions in the comments here previously. You can use applesauce, pumpkin or banana. Are the calories and macros available for this recipe? I make it all the time and now using a Fitbit would like to add to my food list! Thank you! These are great! My husband loves these for breakfast with a piece of fruit. I substituted chia gel for the yogurt with great success. they are a bit hard to press into a cookie as they are crumbly but are fine after they are baked. 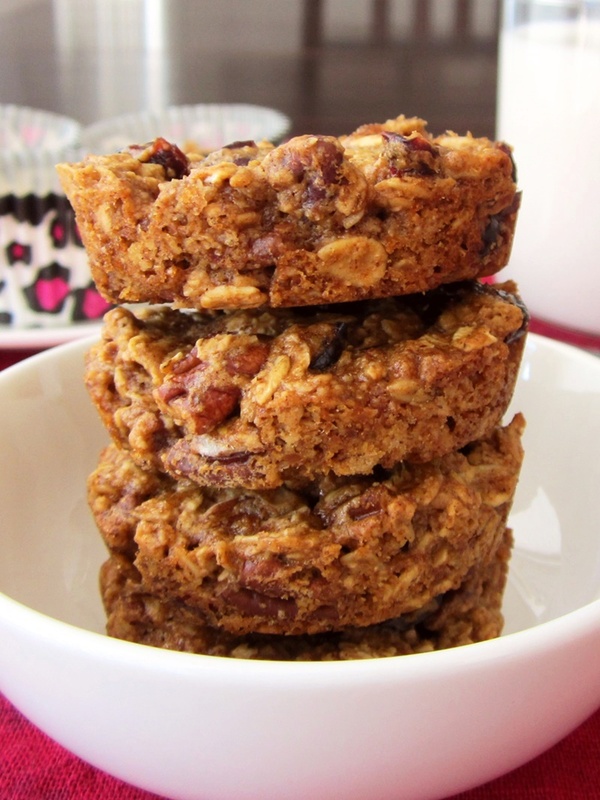 these are better than any granola bar I have ever tried making. Any macro and calorie information available so I can add to my Fitbit? Thank you! I’m sorry, I don’t have it handy Lauran, but nutritiondata is a great site for calculating. Quick question, Alisa. I made another batch this past weekend, swapping out half of the coconut sugar with the same amount of applesauce and used dried tart cherries instead of cranberries. I also cut back just a little on the yogurt. Everything tastes delicious, but the cookies are very crumbly. Is there any secret if substituting with applesauce to keeping them firmer? I also did another cranberry batch but added sunflower seeds (for half of the pecans) and these are staying together better! All most yummy! Thanks in advance! Hmm, this is a tough one. Swapping applesauce for the coconut sugar would have an effect – they are different types of ingredients. It would take some testing for me to tell you the exact ratio. Dry sweeteners do tend to work better than fruit purees in cookies. You could try adding some chia seed or ground flax to increase the cohesiveness a little. The photo of these caught my eye and the ingredients made them irresistible. Easy to make and they came out perfectly. Thanks so much for a great recipe and for mentioning the alternatives like applesauce. Delish! So glad you enjoyed it Luisa! Hi! Thanks so much for this recipe!! I am going to try and make it tomorrow morning with my toddler who is dairy, egg, and nut free. Do you think I could substitute either regular flour or coconut flour for the ground oat flour? I’ve never baked with any alternative flour before. Hi Soo – by regular flour do you mean wheat flour? Yes, that should work well. Coconut flour will not work – the proportions of liquids and flour amounts would have to be changed quite a bit if using coconut flour, which is much drier and has virtually no cohesiveness. I use ground oats because it’s easiest and I like the heart taste! I followed your recipe exactly and they turned out perfect. My whole family gobbled them right up. The texture and sweetness is perfect and they went through it so fast I’m making another batch now! Thanks again!! That’s awesome! So glad you like the recipe and thank you for your feedback! 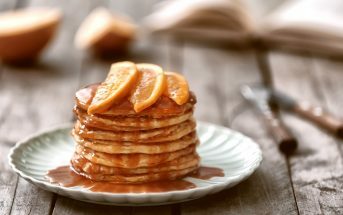 Would honey or agave nectar be more nutritious than brown sugar (I do not have coconut sugar)? How might that affect the muffin cookies? I have ground flax seed and ground oats. Since I really hate using my food processor (it is SO hard to clean!! ), what would the measured amount be of each of those when already ground? Sorry to be high maintenance. I would appreciate your help. I love this recipe and think it can finally be my go-to breakfast muffin to replace my Martha White bran muffin packets that I would add all the fruit and stuff into. My family loves them, so if I am going to make them twice a week, I need them easy and nutritious! Thanks! I make no guarantees since I haven’t tested the cookies with liquid sweetener instead. My recommendation would be to definitely make them into muffin cups if using honey or agave. The dough will be stickier, and the end result probably more cake-y. As for the oats, the amount would be the same – 1 cup oat flour to 1 cup oats. I believe the flaxseed would equate to about 3 tablespoons ground flaxseed – though it would depend on how you measure it. This time I subbed canned pumpkin for the yogurt and added chocolate chips and pecans. And apple sauce for the oil. YUM! This is by far one of the most adaptable recipes I’ve run across in a while. I can’t get enough! So glad I found this site! That sounds wonderful! Thanks for sharing your version Jen and glad you are liking my recipe! These are FANTASTIC! I subbed out the oil for applesauce and they turned out great. 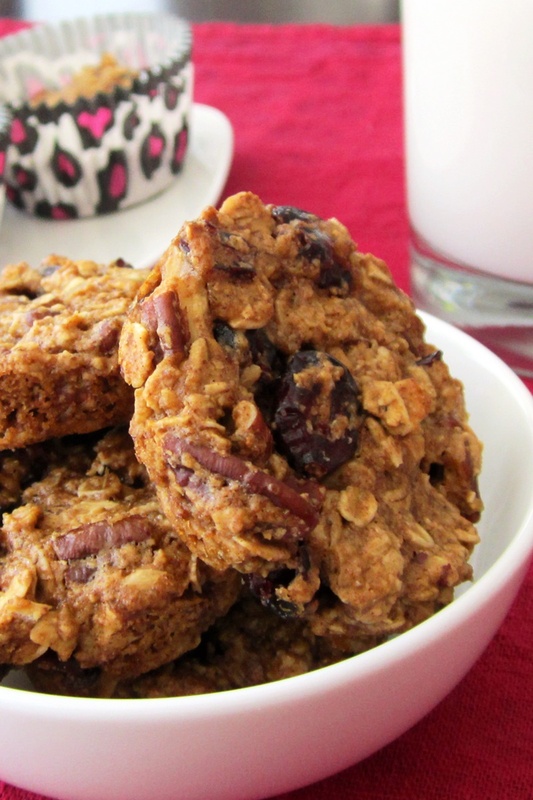 These are perfect for breakfast or a snack. Thanks for a delicious recipe! Awesome! Thanks for sharing your adaption Jen! 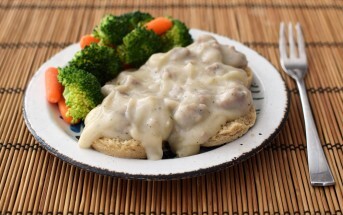 I like this recipe better than the one on the Quaker box! My daughter recently became dairy free and I have been struggling as a baker not using butter. I did not have lemon juice, so we used lemonade instead. Excellent. These will become a family favorite I’m sure! Awesome! Glad you liked my recipe Boris! These are fantastic! When measuring I added sunflower seeds with the pecans, and raisins with the cranberries. I over baked a little bit, but they turned out like crunchy granola bars. So much better than any GF bars on the market shelves. Grab and go! Ooh, those sound like delicious trail mix-like addition Leslie! Wonderful to hear that you enjoyed my recipe. 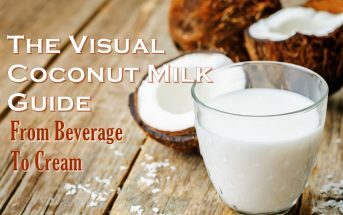 Alisa, I wonder if I could substitute the cream from canned coconut milk for the coconut milk yogurt? I am home-bound most of the time so it is hard for me to get to the health food store on a regular basis, and our local grocery store doesn’t yet carry the coconut milk yogurts. Thanks for a great site! I so appreciate all the time you take to help out those of us struggling with food allergies and sensitivities. Thanks so much, Alisa. I never gave a thought to the fat content of the coconut cream because I was thinking more of the consistency, but I think I’d like the applesauce substitution better. I’m going to try making it that way this weekend if I feel up to it. Any chance you could put the nutritional information on your recipes? For those who are eating a variety of ways, it is handy to have the information.